IT’S a far cry from the battlefields of France to Barwon Heads but Geoffrey Graham has done a lot of kilometres over the last few months. The Bendigo-based performer has been touring Victoria and will be in Barwon Heads on 24 April for his show: Voices of War. Recently, he travelled to Gallipoli, and battlefields and memorials in Belgium and France to better understand the Great War. “It gave me a sense of the enormity of the war that I couldn’t get through library research,” he said. 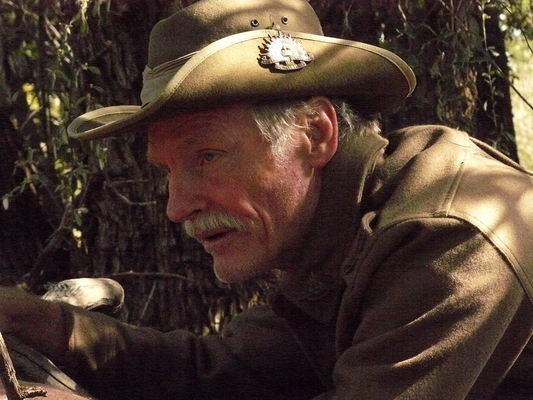 Geoffrey has had roles in the Gallipoli (2015) and Anzac (1985) television mini-series. The show starts at 2.30pm at Barwon Heads Community Hall on April 24. To book visit gpac.org.au. Tickets $25, members $20.